If you have an off-road adventure in your sights then it can seem like all you need to do is pack your off-roader or truck with everything that you are going to need and that’s that! However, in reality, if you want to avoid disaster and enjoy a stress-free off-road adventure, there is some planning to be done and a few tips to be followed. 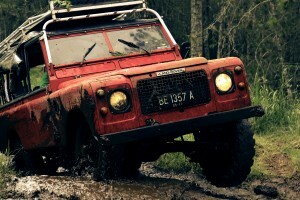 Is Your Vehicle Ready for Off-Road Adventure? Below is a great post from TenEyck Distributing with advice on how to pack your vehicle to how to keep if off-road for longer! The first on the list is identifying which items to pack into your vehicle first. For this, either make a list of your items or lay them out in front of you and separate your heaviest items. These are the items that you are going to want to pack first. The reason? When it comes time to maneuver your vehicle into, what can often appear as impossible angles and positions, it is these items, packed low in your vehicle, which are going to help keep your vehicle in place and stop it from tipping over. Is this going to be mean packing some of the items you will want to use first once you arrive and take you more time to set up? Yes, it probably will. But, does it also means that there is a better chance of you reaching those secluded and isolated places you have been searching for? Absolutely, it’s a yes! Of course, it also has the added benefit of working with your suspension to keep your ride smooth. Well, as smooth as it can be during a true off-road adventure! Well, maybe not the skies. But the roof of your vehicle, for sure. The first thing your roof is going to need is a purpose designed cargo rack. Installing and using a roof cargo rack serves two primary purposes. Are you are driving on the highway to the track you plan on tackling or even while you are tackling the track itself, it is this cargo rack which is going to help keep your where they belong on your roof and not falling off and you leave them behind. The second is to help keep your stability. For example, if you pack items on your roof which aren’t secured and they start to lean over as your vehicle does the same, you can bet that this is going to help throw off your center of gravity (remembering the point above) and actually help tip your vehicle over. Click here to buy Signature Series 0W-20 Synthetic Motor Oil and make sure your vehicle is up to the adventure ahead! To make sure this is the right product for your needs, don’t hesitate to speak with an expert at TenEyck Distributing by calling (208) 589-4660. Alternatively, the online store has a range of information available for all of the high-quality AMSOIL products to choose from. Don’t Keep the Beauty for Yourself! If you love finding isolated places where there isn’t anybody else in sight except for the people who arrived in your vehicle, then off-roading is a great idea. However, without another vehicle to keep you company, it can also be the easiest way to get stuck in the middle of nowhere with no way out of small, yet tricky positions. For this reason, be sure to share the beauty of nature that you are sure to discover with some friends in a separate vehicle or even join an off-roading club and head out for adventure with another vehicle. All it takes it a flat tire or you to get wedged between a rock and a literal hard place to end your adventures before they have even had a chance to begin. Of course, none of the above tips even matter if your vehicle isn’t up to the challenge you’re about to put it through. Whether you take it to your mechanic or you perform the maintenance work yourself, be sure attention is paid to items like your suspension, brakes, gearbox, electric items, and all of the safety features included with your vehicle. Of course, if you plan to take any trailers with you, be sure the connections are secured and that their electrics and braking features are also in full working order. A Synthetic Oil Change in Idaho Falls, ID Can Keep Your Adventures Going, for Longer! Of course, there isn’t a list in the world which can help you if your vehicle just isn’t up to the task ahead. To make sure it’s in the best position possible, speak with TenEyck Distributing at (208) 589-4660 about how a synthetic oil change in Idaho Falls, ID can keep your engine running for longer both off and on the road!